Marston Valley will deliver up to 5,000 homes, built over the next 20 years, in a series of linked villages separated from each other and existing settlements by extensive parkland. 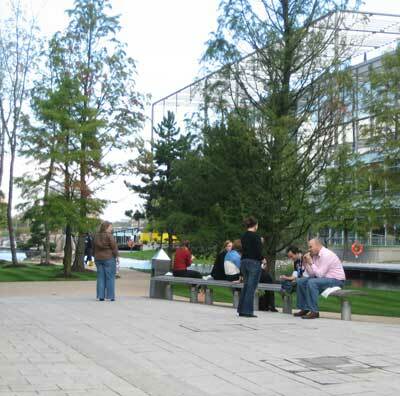 There will be opportunities for waterside living as well as properties in village centres. The variety of homes will reflect local need and will include a mix of house types including affordable homes, accommodation for older people, starter homes and self-build plots. Only about a quarter of the site will be developed for housing: homes will be situated among public open spaces and community facilities. Marston Valley will meet local housing needs. 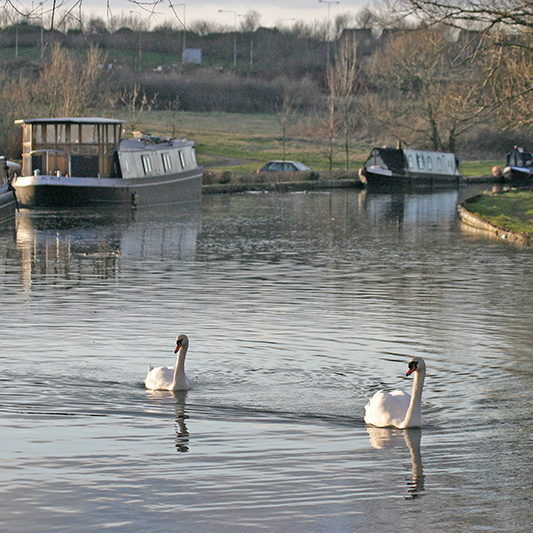 A new navigable section of Bedford and Milton Keynes Waterway Park linking Brogborough and Stewartby Lakes will be created as part of the proposals. This will provide access throughout the scheme for a variety of boats as well as a place for walking, cycling and generally enjoying the natural surroundings. It forms the central spine of the scheme and inspires many of the ideas you’ll see on this website. 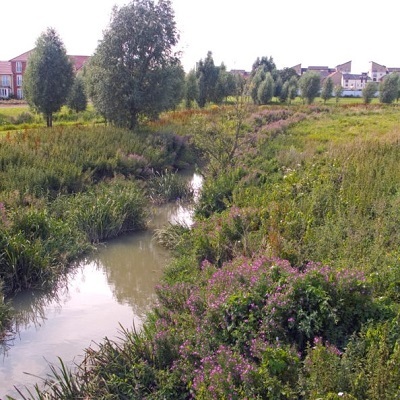 This has been the inspiration for creating a wider network of waterways within the scheme, enabling the waterside setting to permeate through the development and provide an attractive outlook for as many new homes as possible. Marston Valley will provide new local facilities and amenities throughout the scheme. Each village will contain local scale shops, restaurants, cafés and other community and leisure uses and will complement what is already provided in nearby villages. We expect the villages will provide new health facilities, dentists, village halls, nurseries and crèches. These will be distributed throughout Marston Valley, with Redlands Village as the principal community hub. With the leisure and recreational focus associated with the lakes and waterway, Marston Valley will provide for new leisure facilities including the potential for new hotels which could help support it as a tourism and employment destination. 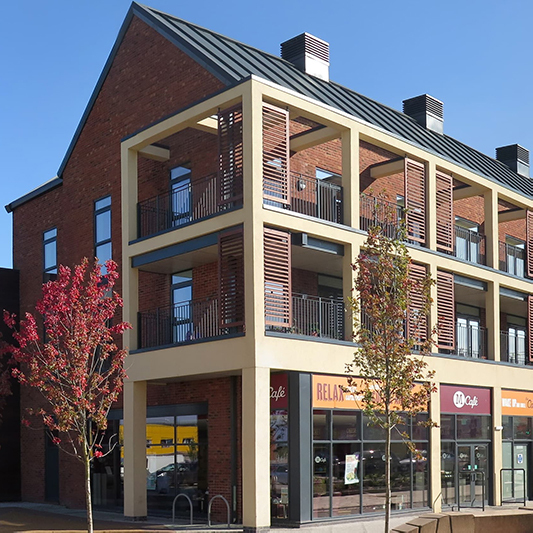 Marston Valley will provide substantial new employment opportunities in three main forms – up to 30 hectares of employment land, small scale employment opportunities within the community hubs and job opportunities from the other uses including the schools, hotels, and shops. We are keen to hear the views of local employers about what sorts of premises you’re looking for over the next 20 years to grow your businesses. The lakes are one of the Marston Vale’s defining assets. 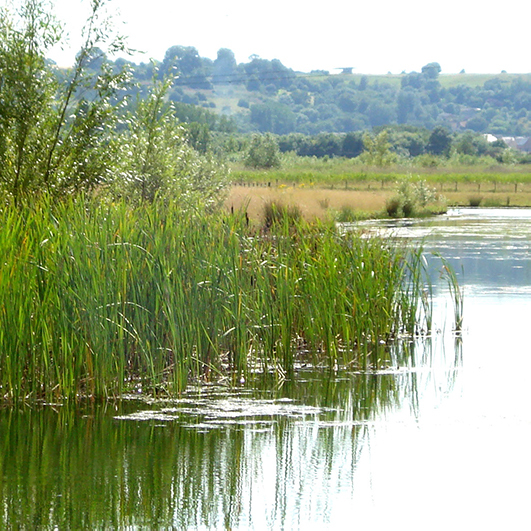 These beautiful and valuable features provide a perfect setting for creating special places at Marston Valley. Brogborough Lake is already home to a windsurfing club. We think it could be used by others too. Recreation-based activities and leisure facilities will be concentrated on one shore, while the wider lake, including the north-western shore, will prioritise nature conservation. Lidlington Pit is more secluded and will retain its natural and quiet character. The lake will serve primarily for nature conservation, where the focus will be on retaining and enhancing habitats, as well as a limited number of waterside homes. 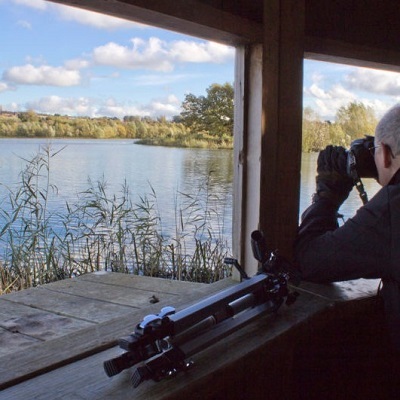 Marston Valley will provide opportunities to open up access to the lakes and enable people to live, work and play while enjoying waterside views. We want to transform the landscape into a rich resource for all. The largely inaccessible lakes will become places that people can enjoy in safety and where wildlife is protected and new habitat is created. 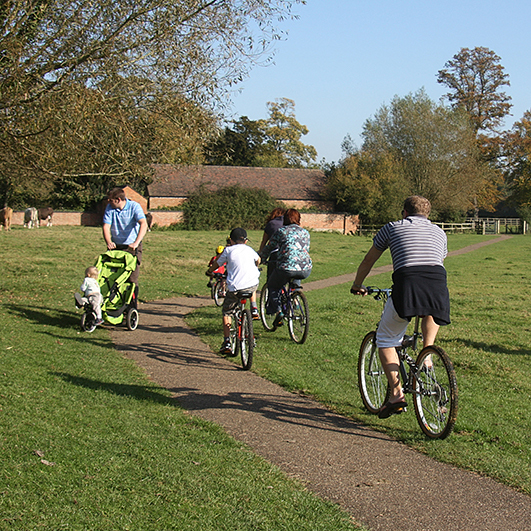 Up to 17 hectares of formal open space will be provided in Marston Valley, including playing fields and sports pitches, sports pavilions and children’s play areas. If you added it all up, that’s the equivalent of about 20 adult football pitches. Overall 55% of Marston Valley will be green and blue infrastructure. Do you have a sports club or community group which would benefit from new leisure facilities? Marston Valley will become a highly sustainable new community with a low carbon, efficient and high-quality transport strategy. The proposals will not only provide a range of transport modes for new residents but will improve access to the area for existing communities. Public transport is a fundamental component of the proposals. Marston Valley has an excellent position adjacent to the existing Marston Vale railway line. This will soon become part of East West Rail and we will deliver direct bus connections to Ridgmont Station so that new and existing residents can use this service. 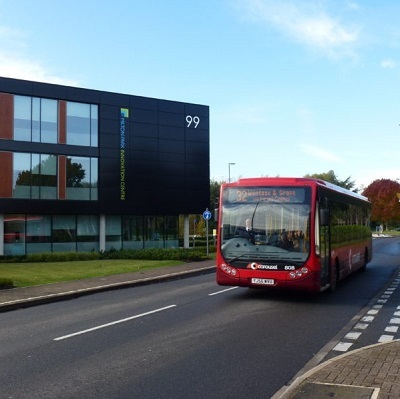 New high quality bus services will be provided, connecting the new and existing villages to larger centres such as Bedford, Milton Keynes and Flitwick. It is intended that most residents and workers will be within 400m walking distance of a bus stop. Civilising the C94 – this will be integrated as a village street. We propose to change its character and make it safer through reducing the speed limit, a pedestrian and cycle route, new junctions and incorporating a new approach to soft and hard landscaping. 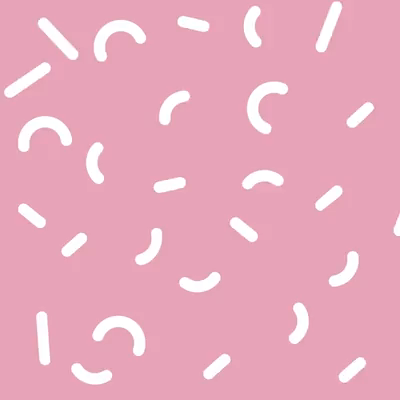 Cross Vale Link – providing a new connection from the C94 to Station Lane to reduce existing traffic movements and congestion in Marston Moretaine that is heading towards and from Millbrook. This will be an integrated village street passing through the heart of Redlands with low vehicle speeds, it will also help improve the vibrancy of this community hub. This will be complemented by a traffic calming scheme in Marston Moretaine to help further reduce rat-running. 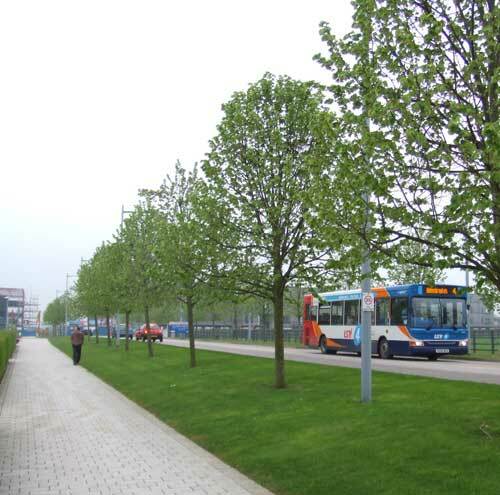 We will retain important areas of vegetation, hedgerows and tree planting within the scheme. We want to enhance the biodiversity value of the site, ensuring that key habitats are protected and ecological corridors are provided. Marston Valley will also help meet the objectives of the Forest of Marston Vale through the provision of extensive planting. The villages will have a strong wooded character. Woodland areas will be multifunctional, also enabling habitat creation, valuable screening and ideal locations for informal recreation. New public open spaces will include orchards and allotments. The additional woodland trees planted will be native species, planted in a way that matches the local landscape character. What do you think? Marston Valley will comply with the current national and local requirements for energy use, carbon reduction and energy efficiency. 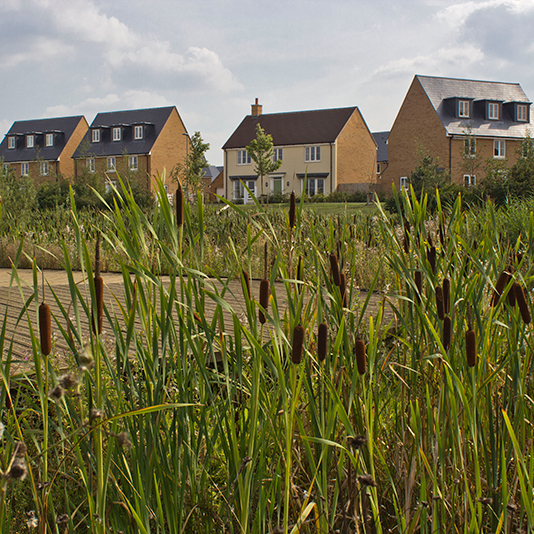 Sustainability principles are at the heart of the Marston Valley scheme including maximising public transport opportunities like linkages to East West Rail and new bus connections, and using the lakes and waterways for sustainable drainage solutions. To further reduce carbon emissions, renewable and low carbon technologies will be explored at detailed design stages. While the precise technologies are yet to be defined, there will be flexibility to ensure that the scheme can respond to new technologies if and when available. Do you run an environmental group in the local area, or have new ideas to improve sustainability? 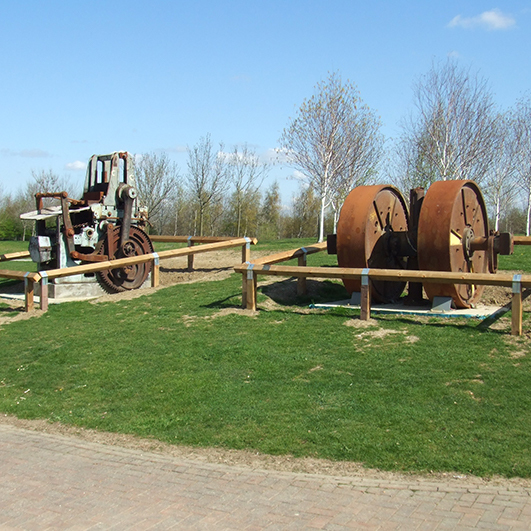 While the site does not contain any designated heritage assets, there are three scheduled monuments which lie close to Marston Valley – Thrupp End Farm, Brogborough Roundhouse and Ringwork, and a medieval moated site in Marston Moretaine. The proposals safeguard these valuable historic features through retaining considerable open space around them and restricting new planting close to them. The Marston Vale has a distinct landscape, characterised by a relatively flat valley raising up gently to the Greensand Ridge. It is a landscape that has been subject to continuous evolution and is reflective of its previous industrial processes, most notably clay extraction for brick production in the nineteenth and twentieth centuries. Our proposals are shaped by the heritage of the past, and include protection for the setting of notable buildings and heritage features. If you’re interested in the local heritage, please give us your views.